Let’s face some facts. Iran is a rogue state. It is actively seeking the development of intercontinental ballistic missiles, missiles capable of reaching Europe and even the United States. No one truly knows at what level the Iranians are regarding their efforts to produce a nuclear weapon, and it was this fear that led the Obama administration and five other countries to enter into the JCPOA (Joint Comprehensive Plan of Action) treaty with Iran.This treaty attempted to stave off an Iranian bomb for a designated number of years. Not trusting the Iranians, the Trump administration withdrew the United States from what many saw as a deeply flawed pact. The Iranian people are Persians and Persians aren’t Arabs. Although Iranians are Shiites like the Arabs in Iraq and Bahrain, they do not share their Arab neighbors’ cultural and historical heritage. However, the Iranian mullahs seek to spread their brand of Islam and their political and economic tentacles throughout the region and over their neighbors’ governments, economies and people. What they seek is a Shia Caliphate similar to the one ISIS had proclaimed; but, this one would be controlled and directed by the Ayatollah Khamenei, the current Supreme Leader of Iran. Strategically, there is no country in the Middle East strong enough to block the Iranians from achieving their goal, except one: Israel. Israel has the most powerful army and the best weaponry of any Middle East country. 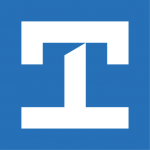 In order for Iran to achieve its nefarious designs, it must neutralize or destroy Israel. Seen from the perspective of which country possesses the capabilities to thwart the Iranian mullahs, Israel has proven itself best able to do so. To many world pundits, politicians, and military leaders, then, Israel is the stabilizer and enforcer in the Middle East. The Iranians, in turn, have been attempting to surround the Jewish state, threatening its very existence. From a nuclear perspective, and though Israel has never acknowledged this, it is assumed Israel has MAD (Mutual Assured Destruction) capabilities. Were Iran actually to produce a nuclear weapon and attempt to use it on the Jewish state, Israel would retaliate in kind or with even greater force, Iran being a much larger country having a much greater land mass. This knowledge, it is hoped, would cause the Iranians to think twice before attempting to annihilate Israel via a nuclear exchange. However, from a geographic and strategic perspective, Iran is succeeding in surrounding Israel with its surrogates and its own personnel. The Iranians have supported and armed Hezbollah in Lebanon, a terrorist organization, which has all but taken over their host country. Iran has armed this organization with well over 100,000 missiles some of which are guided, making them capable of greater accuracy and lethality. It is surmised that were war to break out between Hezbollah and Israel, Israel would suffer serious casualties and great property damage in Tel Aviv alone, the most populated of all Israeli cities. 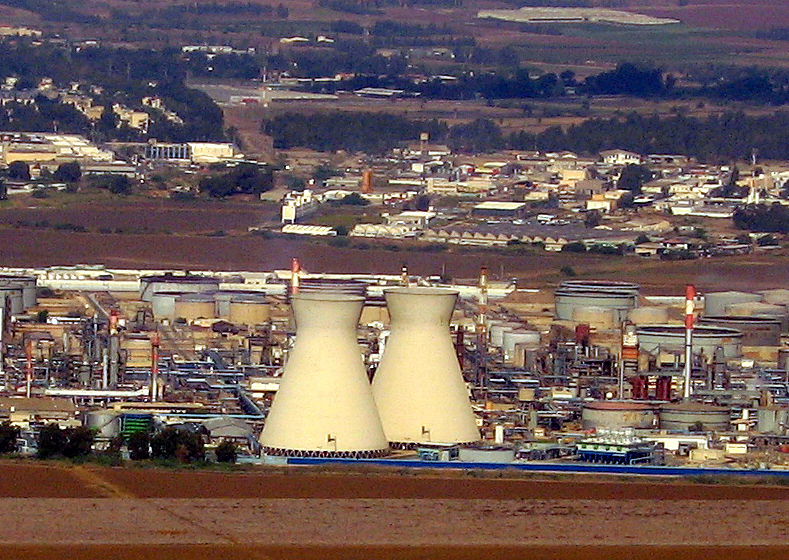 The oil refineries in Haifa would be targeted as well as other important utilities like the National Water Carrier. The threat to Israel doesn’t only come from the north. The Iranians have also spent millions on the rulers of Gaza, Hamas. Hamas is an offshoot of the Muslim Brotherhood and is virulently opposed to Israel’s existence. In contrast with their brothers of the Palestinian Authority who rule Judea and Samaria and who have “security arrangements” with the Israelis, Hamas wants absolutely nothing to do with Israel and works night and day to annihilate Israel. Iran even has to restrain Hamas and their more violent, Iranian backed group, Islamic Jihad, which often is actually the group in charge of firing missiles, mortars and rockets into Israel. However, the most pernicious plan that Iran has hatched and instituted in recent years is to infiltrate Syria and establish missile and other types of bases on Syrian soil, introducing tens of thousands of troops gathered from Middle Eastern countries including Afghanistan, Pakistan, Iraq and even from Iran itself. Some of these forces now occupy territory that is within forty kilometers of the border of the Golan Heights. Although Israel thought it had an agreement with the Russians, who have their own reasons to be in Syria, that the Iranians would be allowed to come no further than eighty kilometers from the Israeli border, that hasn’t held up. Thus, the Iranians threaten Israel from nearly every direction save that of Israel’s eastern most neighbor, Jordan; and the Iranians are working hard to destabilize the monarchy there. Let there be no doubt about the fact that the Iranian regime is no friend of Israel, whose very existence it is constantly threatening. It also abhors the United States. Over the decades, the Iranians, either directly or indirectly, have been responsible for the deaths of thousands of U.S. military personnel. Whether by direct Iranian attack like the one which murdered hundreds of our Marines in Lebanon, or by Iranian produced IEDs deployed and detonated in the Gulf War and in Afghanistan, the Iranians have no small amount of American blood on their hands. 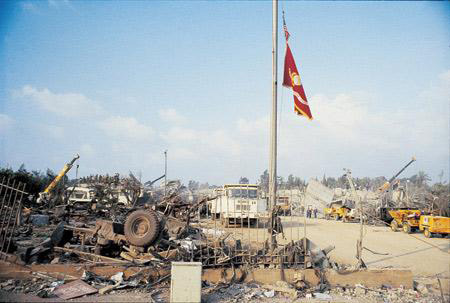 The Marine Corps colors fly over a mound of debris left after terrorists attacks against the U.S. took place at the Marine Barracks in Beirut, Lebanon, Oct. 23, 1983. A suicide bomber driving a truck rammed into the barracks with 12,000 pounds of high explosives detonating one of the largest non-nuclear bombings in history. 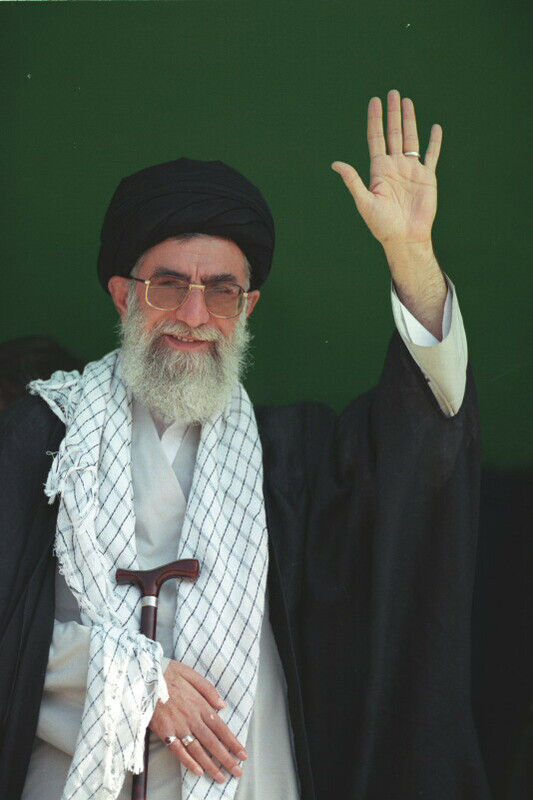 When, at the start of this article, the word “rogue” was applied to the present Iranian regime, it was meant to depict a country which ignores convention, employs proxies to undermine and destroy its enemies, acts to overthrow the governments of the countries which surround it and schemes and plots to bring itself into a hegemonic position in its region. Instead of aiding its people and a weakening economy at home, the Iranian ayatollahs have spent billions on terror tactics, arms and nefarious deeds. They are a force to be reckoned with and, make no mistake, are a dire threat to any country that stands in their way. One could hope that the Iranian people would or could and rise up and overthrow their mullah masters. But Iran has imprisoned thousands and has executed over five hundred people just in 2017 alone. 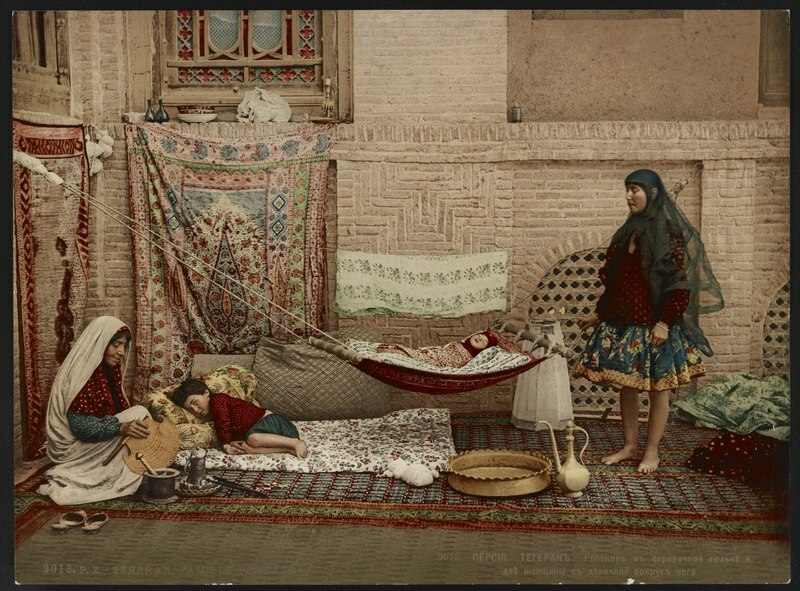 The Iranian people have suffered greater and greater economic hardship. The country is literally sinking in many places because of environmental mismanagement and severe drought; and this is not to speak of the way in which women are treated in the Persian state. Until or unless the Iranians get the bomb, they represent a threat that is countered by the United States, many Arab states, and, more, by Israel. Should Iran achieve nuclear status, the whole picture would change. It is for this reason that the Saudis have begun working on developing their own ballistic missiles. A Saudi bomb in the face of an Iranian one would lead to a destabilized Middle East and an uncontrollable arms race in that part of the world. Think what you may about those the Iranians threaten. Containing, defanging and isolating Iran is the only reasonable and prudent way to keep from having to go to war against Iran. The hope is that the Iranian regime will crumble due to corruption and ineptitude. To that end, does the world wait with baited breath.